Celebrating the roots and legacy of the fine-arts community of Utah through its art and artists is also a way to secure its progression toward an exciting future. Thanks to the insight and curatorial talents of artist Trent Alvey, now is the time to celebrate a remarkable artistic heritage manifested in the work and life of an exceptional artist and personality: Claudia Sisemore. The current exhibition at the Rio Gallery, Claudia Sisemore & Friends: Teacher, Painter, Filmmaker, is a broad collection of art, including Sisemore’s own, representing a wide range of artists within Sisemore’s sphere of personal influence, with an emphasis on her large body of documentary-film work, which is sampled at the exhibit through a video montage of segments from these important documentaries. With such dynamics, this exhibition unites the living legacy of many of Utah’s great artists. It is also a reminder of the importance of Sisemore’s ongoing contribution to the art community through documentary filmmaking and her ability to build community. Sisemore possesses a rare gift to inspire. As a schoolteacher, she inspired Alvey; as a filmmaker documenting artists from LeConte Stewart to the contemporary Ririe-Woodbury Dance Company, she inspires the fine-arts tradition; and as an exceptional painter, she inspires all. A sensitive observation of the nature of this exhibition reveals that this is no eulogy to Sisemore’s past, but an ode to a legacy still in the making, ripe with energy and motivation. She is currently working on a film documenting the history of the multi-disciplinary artist Angelo Caravaglia. Sisemore speaks fondly of her experiences filming LeConte Stewart, whose shy nature resonated with her own. Because of this connection, she was able to capture rare and intimate moments of Stewart on film. Although work of this kind is a reflection on the past, this history can be brought to life today in the documentary as it is made accessible to the public. This directly benefits Utah’s students of painting, is of interest to many who wish to learn more of Stewart and is of value to those interested in Utah’s art history through candid moments with this artist. There is nothing else of its kind. Lee Deffebach, one of Utah’s great authentically modern artists, is forever captured on camera at her best; without Sisemore’s documentation, there would be no record like it. The film is warm and meaningful, made so by the close friendship between the two artists. Deffebach is seen as a painter revealed in honest, intimate genuineness, and Sisemore creates a sense of importance in the film, emphasizing Deffebach’s imperative position in the Utah fine-arts tradition. Francis Zimbeaux was an artist whose voice is not long since past, and is hauntingly present in the character of much local art seen today. Although not a giant in stature, this artist had tremendous strength of vision; his imagery is captivating and still resonates. 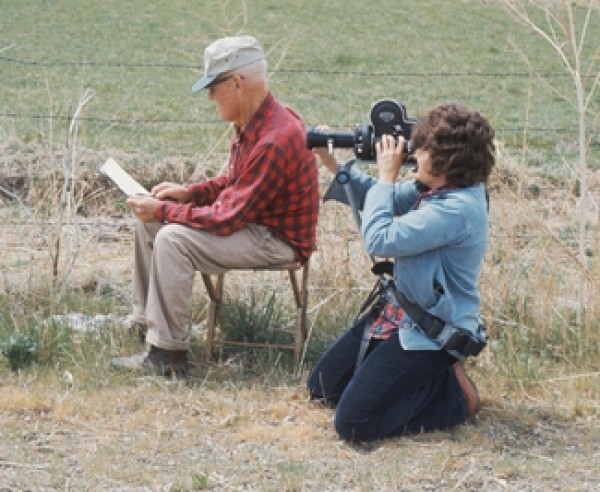 Sisemore’s documentary takes a close view of the life and work of Zimbeaux perceptively and sensitively, but unfortunately, the full documentary, like her work in general, is not readily available to the public. Denis Phillips, a figure still very alive and present in the community through Phillips Gallery and a steady stream of artwork, has his story felt in a documentary that is personal—which is true to Phillips’ own manner. This artist revolutionized the Utah art establishment in the 1970s. Without his conviction and that of those like him, young art students would be limited in what they are free to do today. It is essential that this film be seen, his story told and the presence of his legend established to the benefit of the local art community. The brilliance that is the Ririe-Woodbury Dance Company is made magnificently manifest in Sisemore’s documentary dedicated to the excellence of the company. This is by no means merely a history, but the pulse of the present. The film actively promotes the exceptional distinction, enduring stamina and perpetual innovation of this company that is essential to the thriving arts culture of Salt Lake City. One might be startled to consider, along the lines of It’s a Wonderful Life, the world as it would be without Claudia Sisemore. But this exhibition does not lazily rest upon nostalgia; it aggressively grabs at the present to promote what Sisemore is still accomplishing to the benefit of the ongoing tradition. Her ability to create exceptional films and her power to build community contribute to the maturing development and expansive reputation of the local art community’s immediate conditions. If harnessed properly, Sisemore’s unique contribution has the power to strengthen the present, while adding security to Utah’s artistic future.